If you would like to contact us, you can send us a message using the form below. Alternatively you can email or telephone us using the contact details on the right. 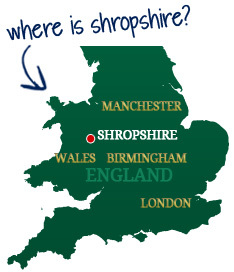 If you require advice on accommodation or your travel plans in general, please ask and Shropshire Tours will endeavour to help. At Shropshire Tours we have excellent geographical and historical knowledge of the UK, Shropshire Tours can advise on travel planning by road, rail and coach. This is a free service. Please ensure you read our Terms and Conditions before booking, thank you.